We haven't had one of those "reviews that write themselves" in a while, but here's one where the photos tell the full story. 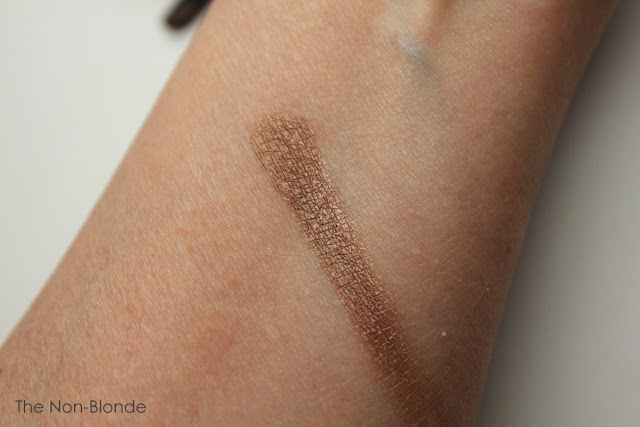 Part of Burberry's makeup line reboot (a new manufacturer, reformulation of several products, wider distribution) included the addition of a cream shadow range. There are eight colors so far, and they all speak the familiar Burberry language of understated neutrals with a general mauve leaning. And we all knew there had to be a taupe in there. That's Mink #102. The texture of Burberry Eye Colour Cream is slightly putty-like. It yields easily to pressure (a random touch to the surface as I was preparing to take the photo left a thumbprint). As you can see in the third photo, the product tends to separate from the jar, but it doesn't affect the texture or performance, and in the couple of months I've had Mink I've seen no signs of drying out, I do wish that Burberry would add a plastic insert that sits on the surface and prevents contact with air (if Lancome can do it, why won't Burberry?). The finish of Burberry Eye Colour Cream is satin with a light sheen. 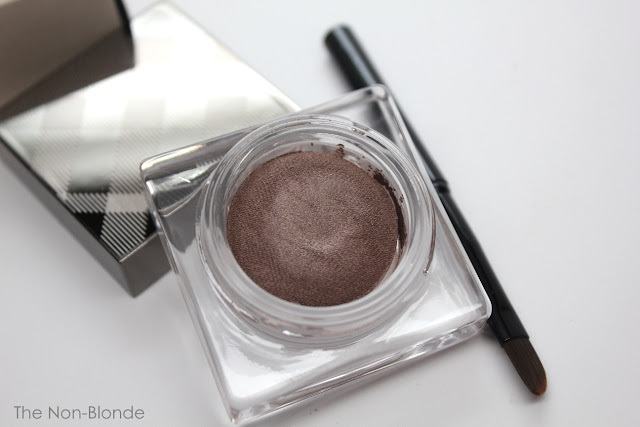 It adds just the right amount of light to the eye area without any actual shimmer or shine. 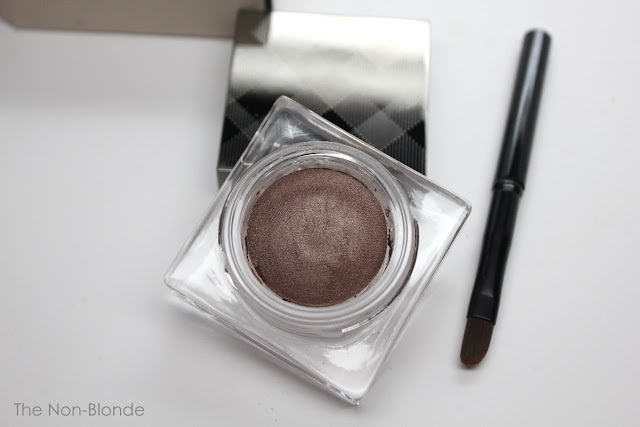 The eye shadow comes with a retractable little brush (similar to the ones in Chanel Illusion d'Ombre) that helps place the color and pat it down where you need it. You can also use your finger or a combination of the two (my favorite method). Mink is just an effortless color that it's making me lazy. A quick application to create a basic shape, blending the edges with a finger, add a navy eyeliner and a touch of mascara and that's it. An eye look that appears a lot more sophisticated than the minute spent creating it. Used over a good primer (that means NARS these days), Mink stays put and doesn't lose any of its intensity and finish from morning to evening. I've worn it in the heat, rain, and tropical humidity of late August, and I think that the combination of a cream-to-powder texture over a primer is a winner in its simplicity and longevity. Bottom Line: who could ask for anything more? 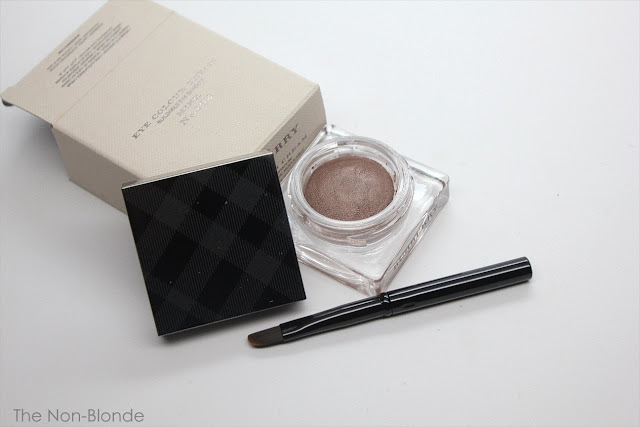 Burberry Eye Colour Cream in Mink 102 ($30, made in Canada) is available from Sephora and select department stores. This looks gorgeous, I need to head to Nordstrom's to try this!